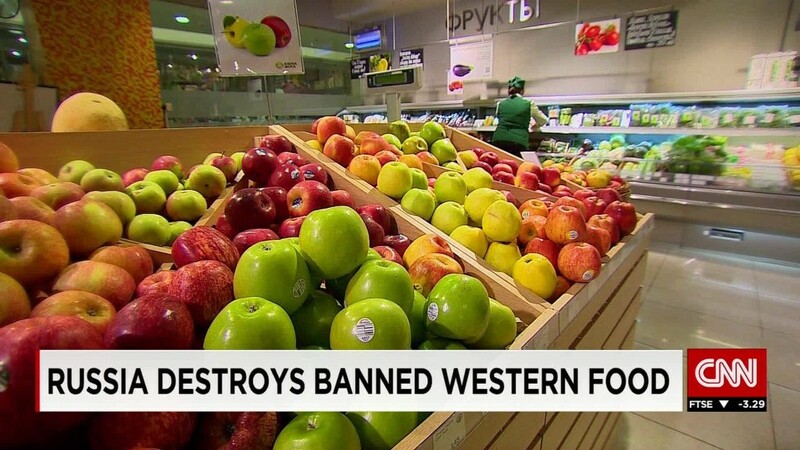 Russia, which has been destroying brie and other banned Western foods, may have to rev up the bulldozers again to keep pace with a growing list of prohibited imports. On Thursday, Moscow added more items to the list of banned food and agriculture products from the five counties that support Western sanctions on Russia over its involvement in the crisis in Ukraine: Albania, Montenegro, Iceland, Liechtenstein and Ukraine. The embargoed products include meat, fish, milk and dairy products, fresh fruit and vegetables and other raw produce. "Everyone who applies sanctions against us must face the appropriate responses, food embargo," Russia's Deputy Prime Minister Arkady Dvorkovich told reporters in Moscow. Although the five countries are all small European economies, the ban could hurt. For example, around 10% of Icelandic seafood is exported to Russia, and Russia was Albania's third biggest trading partner, after U.S. and China in 2014. 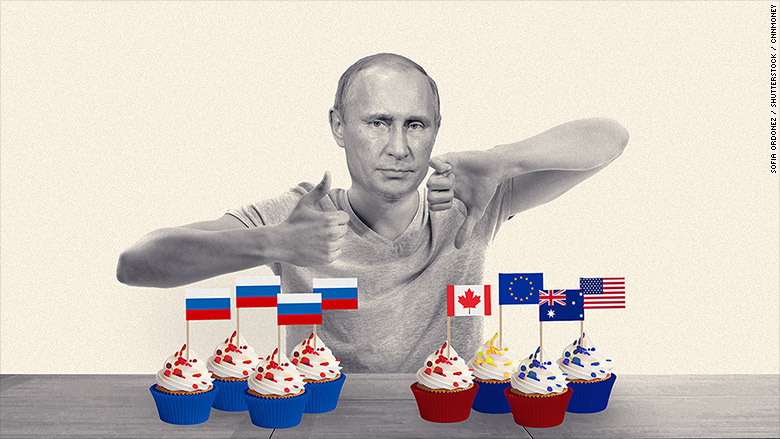 Moscow banned most food imports from the U.S., European Union, Canada, Australia, and other countries last year, in retaliation for the Western sanctions. In recent weeks, Russian officials have used bulldozers and other methods to destroy illegally imported food. Russian consumers are feeling the pain. The embargo pushed food prices in Russia up 20% in the year to July, according to official data. But the E.U. is also hurting. Russia was one of the most important markets for European farmers. Total exports of food and agricultural products to Russia were worth $13 billion in 2013. The EU is trying to compensate its farmers. It has already paid farmers about $170 million to give away or destroy produce to stop prices from collapsing.